This simple sangria requires some patience, but minimal effort. If served at a party, guests will delight in nibbling on the wine-flavored apple and pear chunks remaining in their cups after their sangria has vanished. 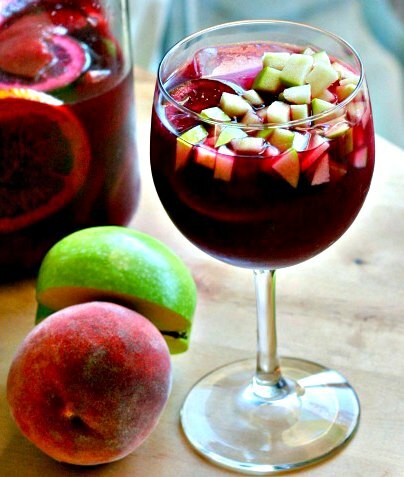 Combine the wine, apple juice, and grapefruit pieces in a large pitcher. Mix well, cover and refrigerate overnight. The following day, add the orange and lemon slices to the wine. Refrigerate for a further 3 hours. Add the pear and apple to the mixture, then allow to stand for a further 1 hour to absorb the flavor fully. Mix well and serve over ice.